Micro adjustment in the bracelet would be nice too. 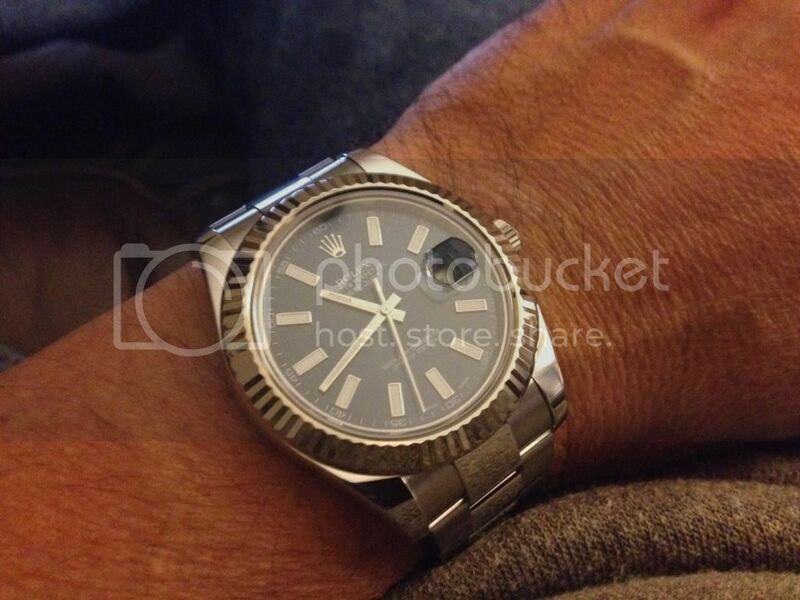 Otherwise, it's a perfectly executed watch and a good bit different from the 16233 in many ways other than case width. This is my fourth Rolex and I continue to be impressed with just how well they build this instrument. Savor each day my friends...for tomorrow most certainly has something different in store for you. It looks great on your wrist. There are three indentations in the clasp and you have the EasyLink. Hope you enjoy many happy moments with your new DJ2. It's equal parts 'handsome' and 'sporty'. Mine says hello..